Fender are releasing the George Harrison Rosewood Telecaster, which will be made by the Fender Custom Shop. It’s designed and built to recreate George’s original guitar as accurately as possible. It has the same specification as his original 1968 instrument as played on top of Apple’s rooftop on the last ever Beatles live performance. 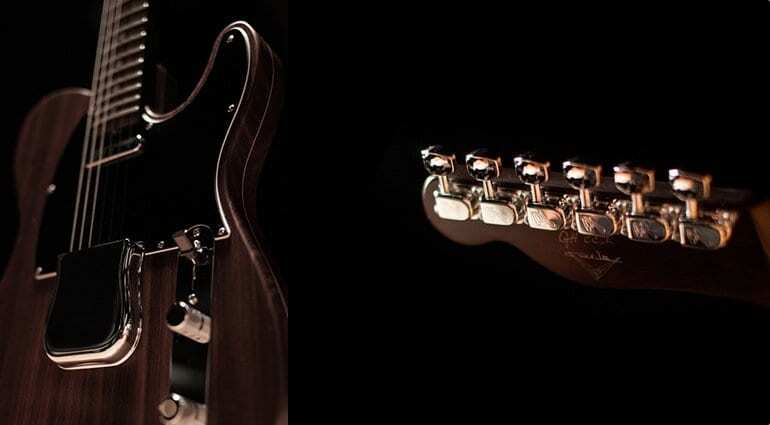 The guitar has an ‘oval’ C profile neck and has the correct Fender logo on the headstock for the period, which is applied on top of the finish as it was on the original guitar. The neck is made of two pieces applied one on top of the other as it would have been on George’s, the body itself is made of four pieces; again, this reflects the build of the original instrument. The rosewood was sourced to get as close to the look of George’s original ‘Let It Be’ Telecaster as possible, and the Fender Custom Shop ordered just enough top make the 300 hundred guitars in the run. 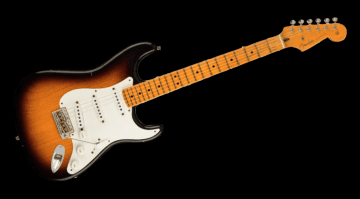 Fender have asked Abigail Ybarra to come out of retirement and hand-wind the pickups for this very limited run of guitars. 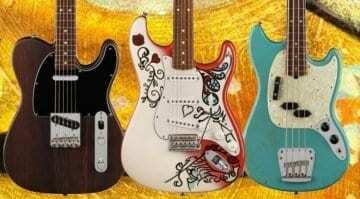 She is famous for making some great Fender pickups and her signature on a pickup can seriously raise the price on a guitar, as they are now very sought after by collectors. Although you will probably need to be an uber fan to love this, it is a very iconic instrument. I would imagine that the level of detail in Fender’s recreation of this instrument will be very high, as it is a part of rock ‘n’ roll history. Fender Custom Shop pride themselves on getting it right with this type of guitar. Each guitar ships in a ’68 style black Fender case and also includes a load of Beatles / George Harrison memorabilia to go with it.